Technical Director and 13’s head coach Joseph Ziegler begins his tenth season with Virginia Elite after nine successful years in the 15’s-17’s age groups. Ziegler’s contributions have been instrumental in not only the implementation and development of Elite’s current training program, but in the development of volleyball training across the United States. As a member of the JVA Educational Board, he has presented at the AVCA Convention and in multiple JVA webinars about Elite’s innovative training approach, helping the club to national recognition and numerous accolades from the JVA. 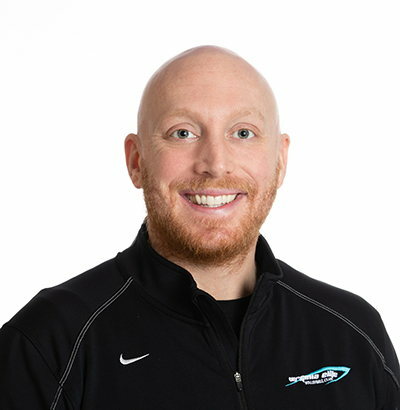 Ziegler has coached his Virginia Elite teams, many of which were nationally ranked by PrepVolleyball.com, to top 10 finishes at various qualifiers, 5 top 25 finishes at AAU Nationals, and championships at Monument City Classic, CHRVA Regionals and Capitol Hill Classic. He also leads several middle school and high school clinics. Ziegler has continued to further Elite’s training curriculum, especially through technology integration, and has received a Virginia Elite Diamond Coach Award for his dedication to the club. Originally from Buffalo, New York, Ziegler previously coached boys at Eden Volleyball Club. His teams qualified for USAV Nationals in each of his nine seasons with the club, placing once in the top 5. He has trained multiple current and former United States Men’s National Team players, including current captain Matt Anderson. Every athlete he coached at Eden VBC went on to play collegiately. Ziegler also coached at Frontier High School and, upon relocation to the D.C. area, at T.C. Williams high school. After setting multiple high school records for hitting efficiency, blocks in a season, and blocks in a match, Ziegler went on to play club at Buffalo State college, where he also played varsity basketball. He graduated with a B.A. in Secondary Education English and a Masters in Technology Integration and Romantic Literature. Ziegler currently lives in Alexandria, Virginia, where is he an Instructional Coach with the City of Alexandria Public Schools, and he remains active as a player on a local men’s club team.